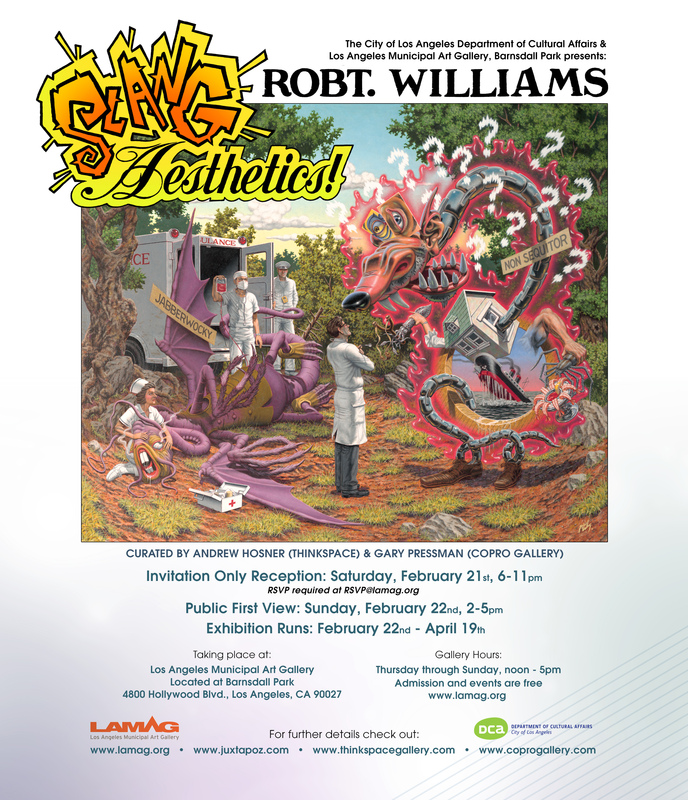 (Los Angeles) – The Los Angeles Municipal Art Gallery and Juxtapoz magazine in association with Thinkspace Gallery and Copro Gallery are pleased to present new works by Robert Williams. SLANG Aesthetics! is on view at the Los Angeles Municipal Art Gallery from February 22nd to April 19th, 2015. 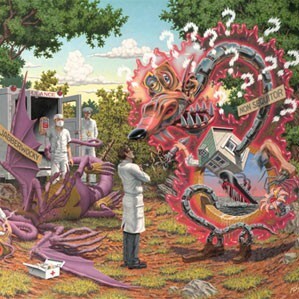 The exhibition is Robert Williams’ first major body of work to make its debut in Los Angeles in well over a decade, and will feature 25 new oil paintings by the artist alongside a suite of drawings, and a series of large-scale sculptures fabricated with the assistance of Gentle Giant Studios. Williams, a self described Conceptual Realist, continues to create artworks that elicit a response and offer an opinion. Relying on concrete, and relatable, imagery to invoke ideas and concepts, rather than on the non-comital spasms of abstraction, his work continues to cut, seethe, confront and move. Not for the faint of heart, Williams speaks an unruly truth that captures the dark, the beautiful and the appalling tenor of our modern world.